Easily assign a different bank account for each property to gain flexible access to banking arrangements, such as setting up different accounts for security deposits, application fees, main receiving account, etc. 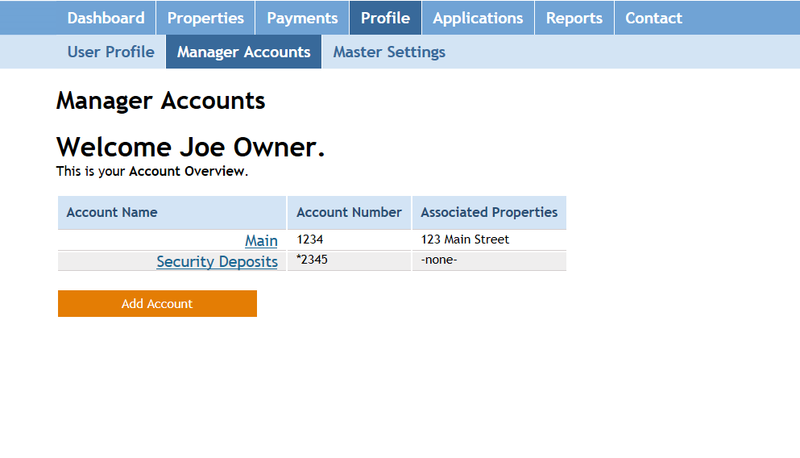 eRentPayment offers built-in reports including a monthly transactions, deposits, and an accounting report. You can also quickly export transactions to Excel for import into financial software if needed.